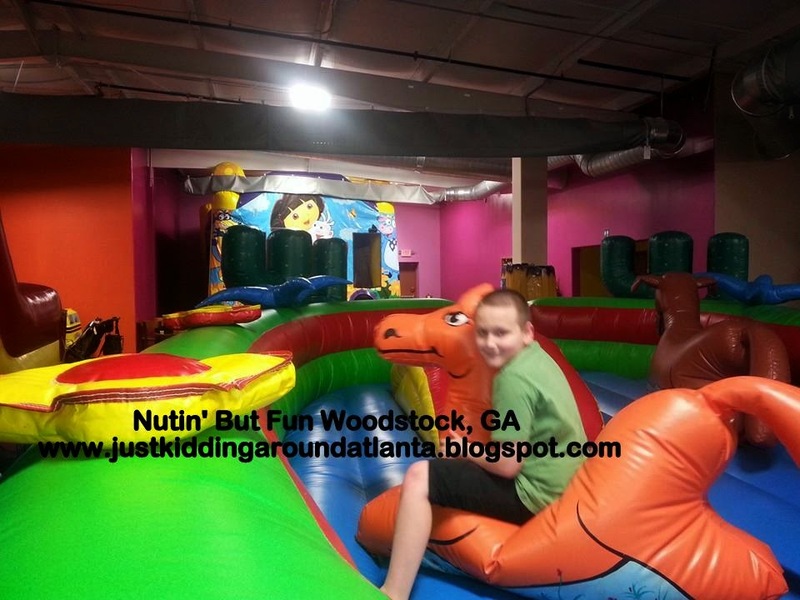 Last week David & I were invited to visit Nutin' But Fun, a new party center/playplace in Woodstock. Located near the intersection of Hwy 92 & Canton Rd, it is easy to find, in a large building with brightly colored letters! Once inside it's a huge room full of all kinds of FUN! Like most play places, kids store their shoes in a cubby. (Note: Kids must have socks; adults only need socks if they plan to play on the inflatables.) 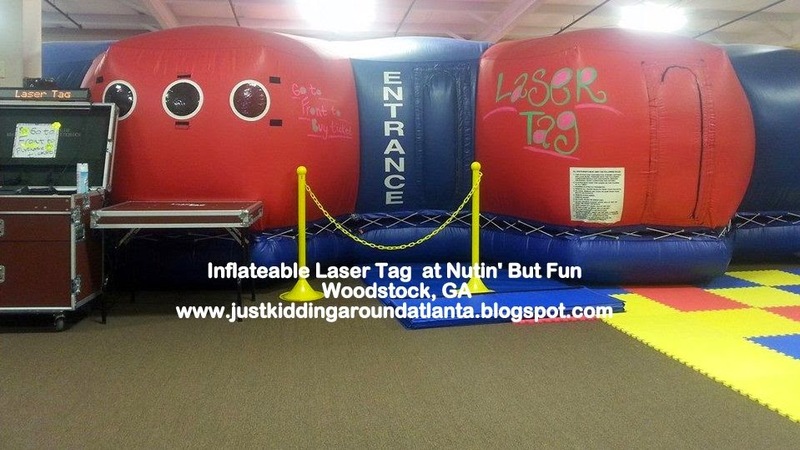 They have several large inflatables, including a BIG slide, a Toddler-only area, and even a unique inflatable Laser Tag course! There's also a huge arcade, featuring video games, skee-ball, basketball and lots of ride-on cars, etc! David had so much fun checking things out in their arcade. We even played Galaga together! Many of the games give tickets which kids can exchange for prizes at the front desk. If you get hungry from all that playing and running around, they have snacks and drinks available for very reasonable prices. The restrooms are clean and offer changing areas for little ones. This place is SO family-friendly! It won't break the bank to bring the kids and enjoy yourselves! They have two festive party rooms available, so make sure to check out their birthday party packages! 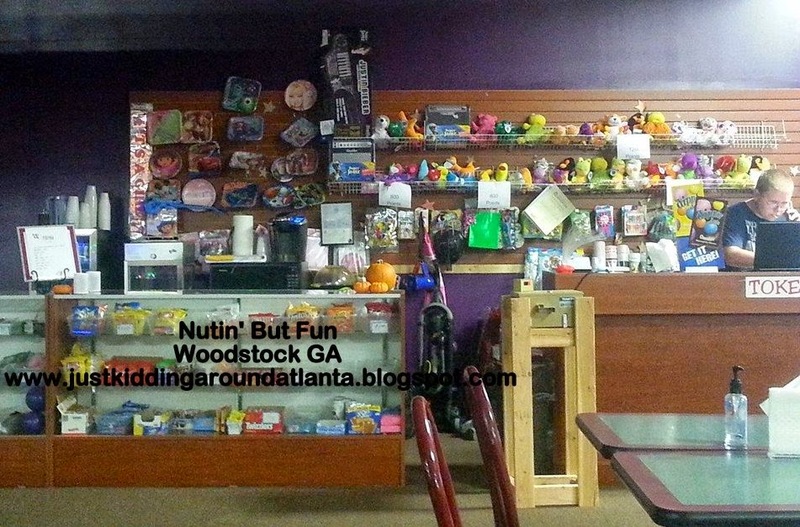 The staff at Nutin' But Fun is helpful and very friendly, and I was very impressed with how things were handled the day we visited. 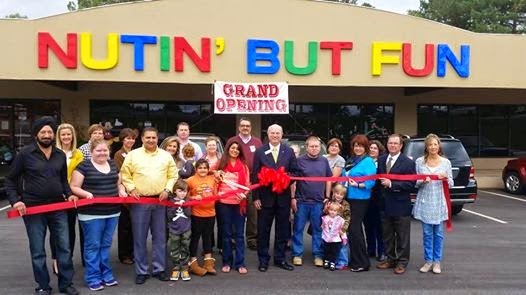 Nutin' But Fun is also preparing to open a video gaming room for teens that will have several different gaming consoles and chairs for players to compete and play together. I love that it's not just for younger kids - they will have something for kids of all ages to do in a safe, family-friendly environment! It's such a safe place to let your kiddos run and play while you sit on one of the comfy banquette seats, or at one of their tables and chairs. Another thing I loved - they have kid-sized picnic tables! We frequent LOTS of playplaces in Gwinnett, and this is the only place in metro-Atlanta that I've visited which offers seating that is specifically made for little ones. Impressive! They took care of all the details. 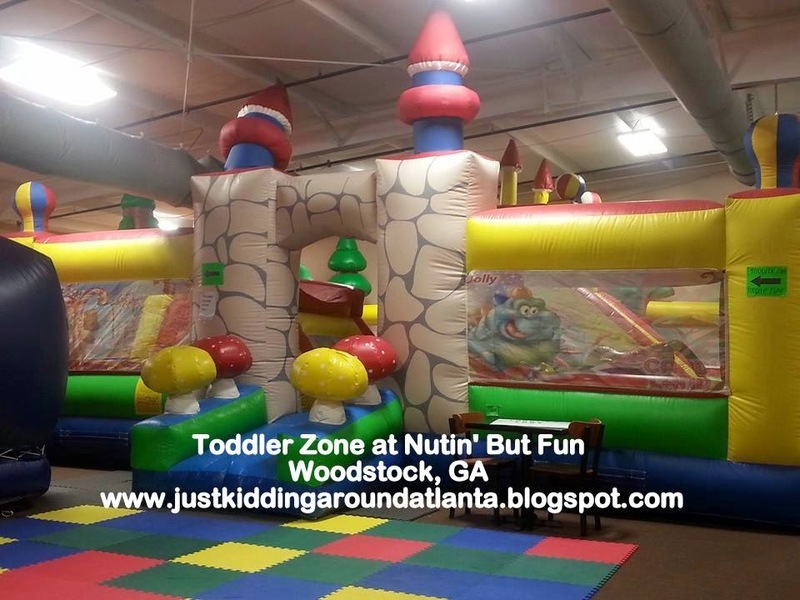 If you live in Cobb, North Fulton or Cherokee Counties, you are not far from Nutin' But Fun! We live on the other side of town, in NE Gwinnett, and found it to be well worth the drive to get there. 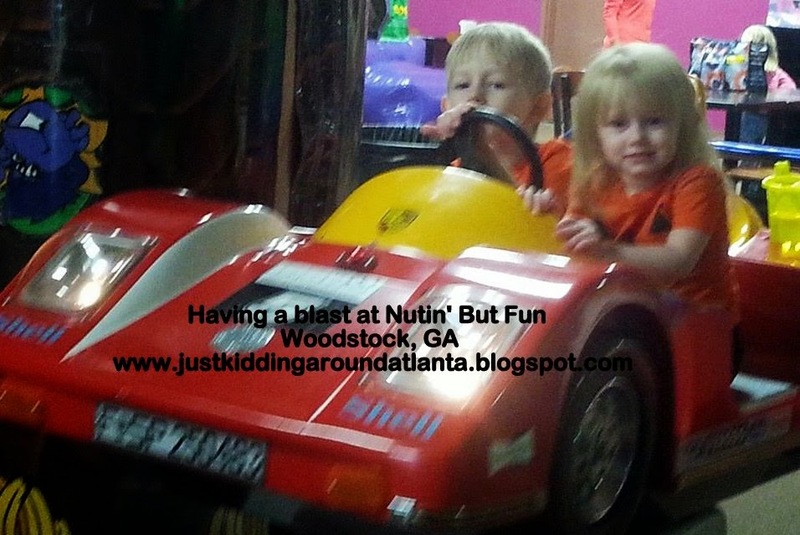 Please check out Nutin' But Fun - your kids will thank you! We received free entry to Nutin' But Fun plus tokens so my son could play in order to facilitate this review. They are also providing the prize for my winner. No other compensation was received. We went to Nutin' But Fun for a birthday party a few weeks ago. It was clean and the staff was friendly. I like that they allow adults on the inflatables as well. I have a 14 month old son that thinks he is bigger than he is and this makes it less likely that he will get hurt. It wore him out. He was asleep by the time we left the parking lot. It was a fun time for the whole family. My youngest would love the inflatables. We are in the metro Atlanta area. That looks great! Perfect for cold weather days. Oh - and inflatables are my daughter's favorite, so we'd look forward to playing on those! I think more from the area should sign up for this contest!